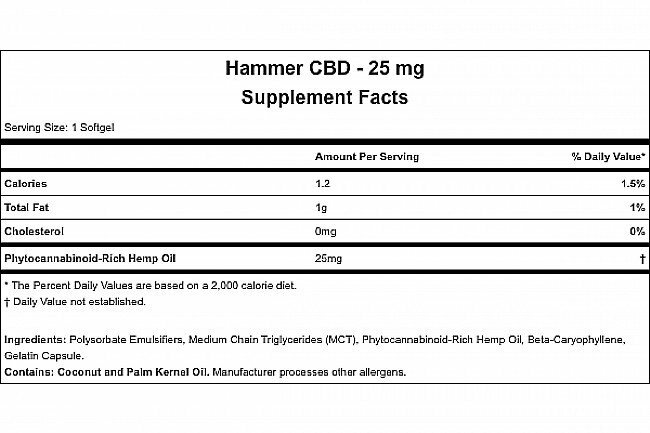 Hammer Nutrition's Hemp Softgels 25mg contain organically grown, non-GMO, USA-raised hemp. These softgels are 100% THC-free and legal in all 50 states. The proprietary extraction process and third-party batch testing ensure consistent and accurate levels of phytocannabinoids as well as purity of the product. 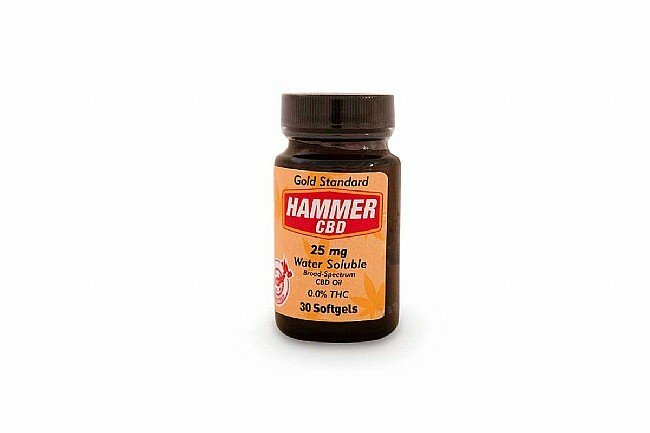 Hammer guarantees that their hemp oil is everything you want and nothing you don’t—no heavy metals, solvents, microbes, or contaminants; just pure, bioavailable hemp oil. The unique, water-soluble, nano-emulsified formula maximizes bioavailability, dramatically increasing absorption and allowing for consistent biosynthesis.